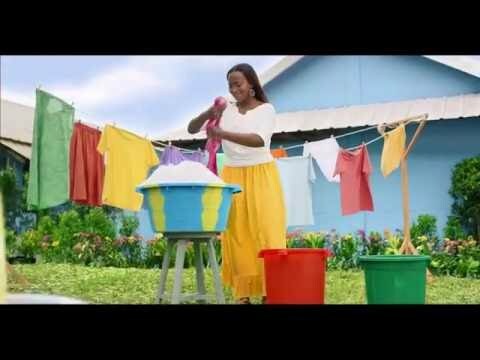 Surf is a global laundry brand with a long and proud heritage of helping lighten the load and brighten the life of millions of households around the world. Known as Sunlight in Africa, Unilever’s founder brand was first launched as a bar soap in the 1890s, aiming to make cleanliness commonplace. Since then, the brand has stayed true to its commitment, offering products that make laundry an enjoyable, lighter experience and more recently by taking action to unlock opportunities for women, enabling them to create a brighter life for themselves and their families. Surf’s products are available in Europe, Latin America, Asia, Asia Pacific and Africa, with a comprehensive range including bars, powders, liquids and capsules. We work with experts in aromas from the world’s leading perfume houses to develop products with amazing fragrances, using exciting ingredients such as essential oils and natural extracts to bring you brilliantly clean and beautifully smelling laundry at affordable prices. At Surf, we believe that nothing should get in the way of a brighter life – certainly not the laundry! Across the world, laundry remains predominately a woman’s job and significantly contributes to the amount of time women spend on household chores. In some parts of the world women and girls spend as much as six hours a day on household chores and caring for others,1 which is known as ‘unpaid care work’. While this work is hugely important, heavy and unequal household tasks are limiting women’s choices. At Surf, we think it’s time for this to change. With Oxfam, we are taking a pioneering approach to address unpaid care work. Known as the 3R framework, we aim to recognise, reduce and redistribute the amount of time spent by women and girls on unpaid care work, with a unique focus on laundry. The partnership includes providing funding to improve access to water in communities in the Philippines and Zimbabwe, to help reduce the time it takes to do household chores. This will contribute to improving the lives of hundreds and thousands of people, a large proportion of whom will be women and girls. In addition, the partnership aims to indirectly reach 19 million people globally, promoting activities focused on recognising the impact unpaid care work has on women and girls’ lives and encouraging more equitable distribution. This collaboration will bring together Oxfam’s development expertise with Unilever and Surf’s marketing and consumer insight knowledge, to make a real difference. Thanks everyone for participating in our Spring competition. Congratulations to Leonie, our lovely winner who won an in-home consultation with designers Alisa and Lysandra, her favourite Surf products and a year of fresh flowers from Clover Hill Woolworths. That’s a wrap! Haba-habango na, FREE Surf ALLDAY20 pa! Small & Mighty says: Just Concentrate! Surf TV Advert, Featuring Surfy!